Some great news as of late. One of our promises to you was to develop and facilitate a residents roundtable for the west-end. Thanks to the hard work of our community coordinator and fellow west-ender, Tammy Murray, we held our first roundtable meeting Wednesday where neighbours, friends and residents from every corner of the west-end were in attendance, engaged and eager to be part of positive change in our area. We had residents from Sandwich Towne, University area, Bridgeview and the neighbourhoods surrounding St. James gradeschool and Mic Mac Park. 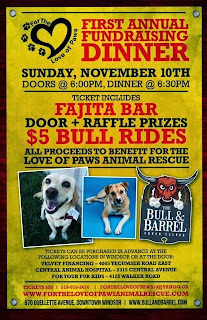 One of our kind west-end neighbours asked that I post this fundraiser dinner for a great cause. 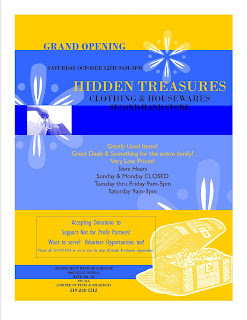 Please see the attached flyer (on the blog site) that features a new store opening up in the west-end on Felix and Girardot. This is great for the community! As you may know, Forster Secondary is slated for closure at the end of this school year. The Greater Essex County District School Board (GECDSB) is working through the transition process and is running several events throughout the year to bring both Forster and Century together. The closure of Forster has been a difficult pill to swallow for many, including myself. The community fought vociferously against the closure but unfortunately it wasn't enough. If you remember, we held town halls, wrote several articles to the Windsor Star and other media sources and applied as much pressure as possible to change what many believed -- and were right -- to be an inevitable decision. Please see the email I received from Pathway To Potential below. They are looking for some representation from the west-end. Please spread the word with neighbours and others. Thanks. Help shape our region's transportation initiatives! You’re invited to attend a Community Conversation on Transportation being held on September 25 from 1 until 3 p.m. at the Tecumseh Arena located at 917 Lesperance Rd. Tecumseh, Ontario. To register, please visit https://windsoressextransportation.eventbrite.ca/. Please fill out the quick survey when registering. The Community Conversation is hosted by Pathway to Potential's Employment and Training working group. Please feel free to share with your colleagues and your contacts.